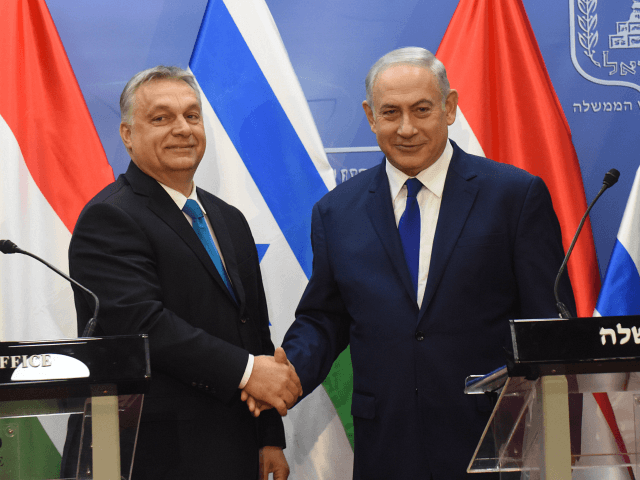 Hungary, Poland, the Czech Republic, and Slovakia, are set to hold the first overseas Visegrád summit in Jerusalem, Israel, this month. Media reports that the event is supposed to take place between the 18th and 19th of February with the spokesmen for the governments of the Czech Republic and Slovakia confirming to Agence France-Presse that Prime Minister Andrej Babiš and Prime Minister Peter Pellegrini will be attending. The planned summit is likely to be seen by Brussels as a snub to official European Union policy, which rejects suggestions the bloc should recognise Jerusalem as the undivided capital of Israel and demands a “two-state solution” with an “independent” Palestine. President Donald J. Trump made history when in December 2017 he announced the United States would recognise Jerusalem as the capital of the Jewish state, and moved the embassy from Tel Aviv to the holy city in May 2018. Shortly after President Trump’s announcement, the United Nations passed a resolution calling for the U.S. to withdraw its recognition, with Viségrad members Hungary, Poland, and the Czech Republic, along with other eastern European nations Latvia, Croatia, and Romania, breaking ranks with Brussels and abstaining in the vote.